Jo Thorpe and her partner Will Grace live just outside Halifax in West Yorkshire with their 9 month old daughter Marya. When you meet Jo and her family today nothing would lead you to believe that she has suffered from any form of depression, or that in the beginning she found it so hard to bond with her beautiful daughter. Jo has a happy, out going personality; she is devoted to her daughter and creating a secure, happy family unit with Will. It has been a difficult journey for this young family, and getting Postnatal depression was even more of a shock for Jo after finding pregnancy such a positive experience. Jo had started to study dance at University in Liverpool when a back injury and joint problems forced her to quit and reconsider her career options. It was here that she met Marya’s dad, Will, when they both worked in a band; she as a singer and he as a cello player. A few years later when Jo found herself pregnant, she was delighted, and even more so when she discovered that the hormones produced by being pregnant eased her back and joint problems significantly. The positive effect of the pregnancy hormones has continued, so that now, 9 months after giving birth, she rarely suffers the debilitating pain that often made movement difficult and sometimes almost impossible. After the birth of her daughter, Jo was devastated to realise that she did not have the overwhelming feelings of love for her little girl that she had expected to have. Try as she might, she could not bond with her daughter and feared for her sanity and Marya’s safety. Despite having a past history of depression and obsessive compulsive disorder (OCD), the staff at the maternity unit, where Marya was born, seemed not to be overly worried about Jo’s attitude toward her daughter. Added to this was the fact that Jo’s mum had expressed concern to them about the state of her daughter’s mental health after the birth. 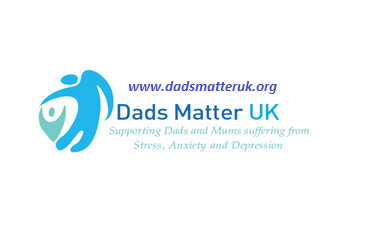 Many women have a genetic predisposition to postnatal depression (PND) and Jo ticked many of the boxes on the list of conditions; (for a full list click here:), previous experience of depression, family history of PND, social isolation (not having lived in the area very long, and no close family nearby). Luckily, although Jo felt that she couldn’t get help from the maternity services at the hospital, she was fortunate in that, once home she had good support from her health visitor who diagnosed that Jo had Puerperal (Postnatal) Psychosis. She also had support from the local mental health services, her mum and Will, although she was not taken into hospital but treated in the community. Jo also knew that in spite of how she felt and the awful feelings she had, she had to talk, and keep talking until she could find someone who would listen and help. This strategy worked for her; she also felt that because she could breast feed successfully it helped to eventually establish the strong and loving bond that exists between her and her daughter today. Jo would say to anyone in her position, that talking is the key to recovery and finding someone to trust who will listen and help is vital. She would also say that each case is individual and you shouldn’t measure yourself against anyone else, breast feeding helped her establish the bond between Marya and herself. For some people that isn’t possible, it doesn’t suit everyone, and no-one should feel less of a mum because breast feeding isn’t working for them. The important thing is that your baby is thriving and you are happy and healthy, mentally and physically and the family unit, whatever that consists of for you personally, is working well. At the time of writing Jo has almost completed her training as a Breast Feeding Peer Supporter for the Leche League (http://www.llli.org/), and will soon work in a voluntary capacity for them supporting mums who want to breast feed in the Halifax area. She is also involved with, and has found great support from, the Calderdale Children’s Centre (part of SureStart) which has provided her with a link worker and encouraged her to join the Young Parents Group. For details of your local SureStart contact your local authority. The Joanne Bingley Memorial Foundation would like to express their thanks to Jo for agreeing to share her story with them. If you would like to share your experience of Postnatal depression and how you coped please contact Mary Newsome by e-mail: or telephone 07526459181. Elaine Hanzak is one of the trustees of the Foundation and has a personal reason for wanting to be part of the movement to raise awareness, tackle stigma and change the way women with postnatal depression (PND) access treatment in the UK. No one is more aware than Elaine that hearing someone else’s account of how they coped with an illness is one of the best ways to have a deeper and better understanding of that illness. As someone who has had first hand experience of suffering the most severe form of PND, Puerperal Psychosis (or Postpartum Psychosis) following the birth of her son, Elaine wanted to help others who were also similarly affected. Elaine moved from teaching into working with both health professionals who are supporting women with postnatal depression, and women who had, or were suffering from PND, themselves. She is also is part of a group in the North West of England who are looking at improving infant and maternal care. ‘When I was pregnant and first heard of postnatal depression I honestly felt that I wasn’t the type to get it! My perception was that it would not happen to someone like me – I was happily married, I had always longed for children, I had a good career, a supportive family and was always efficient and organised. Postnatal illness affected those who were not as lucky as me. How wrong I was! Within a few months of the birth of my son I was diagnosed with postnatal depression and my life began to fall apart. By his first Christmas I was in a psychiatric hospital suffering from puerperal psychosis, the most extreme form of postnatal depression. I was self-harming; completely irrational and unable to look after myself; my son was placed on the ‘at-risk’ register under the watchful eye of Social Services; my teaching career looked uncertain and my whole family was traumatised. If you would like to share your story with us please contact Mary Newsome on 07526459181 or e-mail us.